Fascia has been a new fad in the fitness and wellbeing industry for a few years now, but is it just another gimmick or should you care about training it? Fascia provides stability, strain, tension, fixation and resilience to the physical body. It covers the entire physical body from the skin into the bones. Imagine it like the giant body stocking holding you up inside. Fascia has more nerves within it than any other organ in the body because it connects into every cell of the body. This means fascia is vital in internal sensory input to the brain and nervous system, called interoception. Interoception is the sensation of internal space within the body. Further, recent studies show fascia has an important role in the experience of pain. Fascial nerves signal via the interoceptive interstitial neurons transmit sensory information into the nervous system and direct to insular cortex in brain. The insular cortex of the brain is the area responsible for emotions and feelings. Thus, physical sensations, internal sensations of space and pain directly impact emotional states, and vice versa. Emotions influence decision-making and displays the connection of physical body shapes and experiences to decision-making abilities. For example, insufficient movement triggers a sympathetic nervous system state of ‘stress’ or trauma in the fascia that becomes dehydrated. This clogs and stops metabolic function in the cells. The ‘stressed’ state of body sends messages to change the nervous system responses and further compound messages of stress in the body and mind. The stressed body shuts down digestion and poor nutritional absorption occurs. The immune system is repressed and illness is harder to fight as the body does not have the nutrients to fight optimally. The brain is not properly advised as to the state of the body, and poor decisions are often made from dysfunctional interoceptive physical messages and low emotional states. Further poor health decisions compound the ability to heal. These fascia lines are what transmit energy, and similar to meridians in acupuncture, but fascia meridians are Western anatomy tracing energy strain and rebound in movement around the skeleton. It means that pressure applied to fascia affects the entire line of fascia throughout the body and not just where the pressure is applied. This brings about the important concept of tensegrity in the body. Tensegrity is a structure that maintains its integrity due to the woven fabric of forces continually throughout the structure itself that are interdependent relationship principles – think of a spider’s web where there is local compression with continuous tension around the whole structure. This creates the living organism in a balance of stability with mobility. Fascia is made of collagen and holds and contains organs suspended in the body. Similar to net stockings, if fascia becomes dry it hardens and becomes rigid. If considered like plasticine that takes time to warm back into its shape, fascia is the same and not as responsive as muscular contractions. This can be useful as the fascia remodels where stress is placed on the body. A great example of how this is useful in training is with osteoporosis where the fascia can remodel around weaker bones to increase weigh-bearing bone density. As with plasticine, fascia dries out when it is not moved regularly, and when dry it can tear more easily. Tears ‘run’ along the meridian lines which means that pain experienced may not be where the original injury is located in the body. Fascia can hold a new shape for a long period of time and, if not returned to balance, then fascia begins to rebuild in the new shape. Either of these imbalances in fascia contribute to longer-term health issues and poor communication in the body-mind. Please note: ‘Myofascia’ is the muscular and fascia bundled together in terminology. This is for many massage and movement professionals where they are working both simultaneously. How to care for fascia? The vastness of fascia’s anatomical schema requires a global approach. This includes nervous system, cognitive function, de-stress, nutrition and movement patterns. Physical movement patterns must include whole body movement patterns of all ranges possible in the body to balance the fascia and help it return to a ‘balanced’ state. Here are some starting points for how to care for your fascia, but it is only a glimpse. A diet of balanced plant oils, nuts and seeds, and water will move fluids and nutrients easily around the body. Messages are quick, clear and accurate. Whether nutrition is the cause of a fascial dysfunction or dysfunctional movement patterns, it is likely that due to the way fascia communicates and connects all the systems of the body, that all will need rebalancing and retraining for whole system health. Work with a nutritionist for your needs to be fully considered. Mindfulness practices can be supportive to reduce stress, or simply re-prioritising sufficient quiet time and breaks in nature into your day. Whatever it is that de-stresses you it is vital to allow the fascia to communicate calm to the nervous and fluid systems in the body. Calmer fascia will provide for better movement choices that reduce the likelihood of injury or illness arising. Release of unnecessary tension in fascia is vital. This is done through de-stress and hydration of the fascia to bring that buoyant vibrancy back into the organ. Effectively, the most proven approach is massage of the fascia. Myofascial massage with a specialist therapist is a great way to start. If it is hard to find someone then self-release is possible. Self-release is the technique using tennis balls, spikey balls, foam rollers or other ‘fascia’ tools can help obtain the release. It is a bit like doing a self-massage, but of the gentler style. It is important is to work in a soothing manner with the body and breath. The nervous system must become relaxed during the process, like a massage. If the rolling technique is harsh and feels gripping, then it is too abrasive to allow the fascia to release. A simple start can be with the breath. Very slow light rolling to start varying the directions of the rolling. Ease into holding in one place for a minute or longer, and focus on full exhales as the body settles into the position. Gently ease fluid movements in all directions after holding. 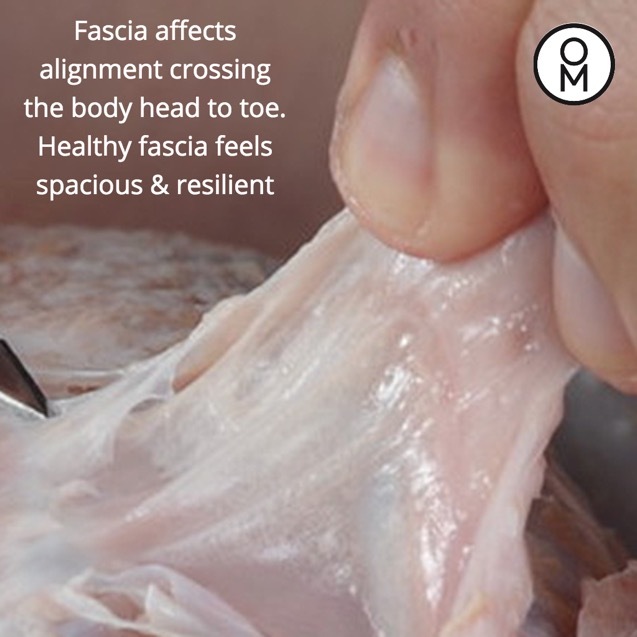 Fascia Release HS from Omega Movement on Vimeo. Starfish – create an expansive whole body feeling in a shape, lengthen the connections across all types of shapes possible. Ninja principle – consider movements have a light stealth on the feet or hands like a ninja. Bounce – like a yo-yo or Fred Astaire tap dancing on stairs, be light and rhythmic in movement quality. Rebound – this is playful and fun. Consider the movement you want and what is the opposite movement to prepare and propel into your desired movement goal. Multidirectional movements with the longest possible chains of the whole body as you move. Think three-dimensional directions and shapes with the whole body, diagonal, sideways, rotations, forward and backwards. Whatever movement form you enjoy, try to deploy these principles into it. If you are not much of an exerciser, then take the stairs or walk for 10 minutes to practice these principles. Become playful, light, and enjoy the sense of movement in your body. Leading trainers and methods in fascia are Anatomy Trains’, Robert Schleip of the ‘Fascia Research Project’, Franklin Method, Merrithew Health & Fitness, advanced-trainings.com, Rolfing, or Somatics. But this is not the only way to train. Increasingly many movement and manual therapists are taking fascia training and incorporate it into their work. 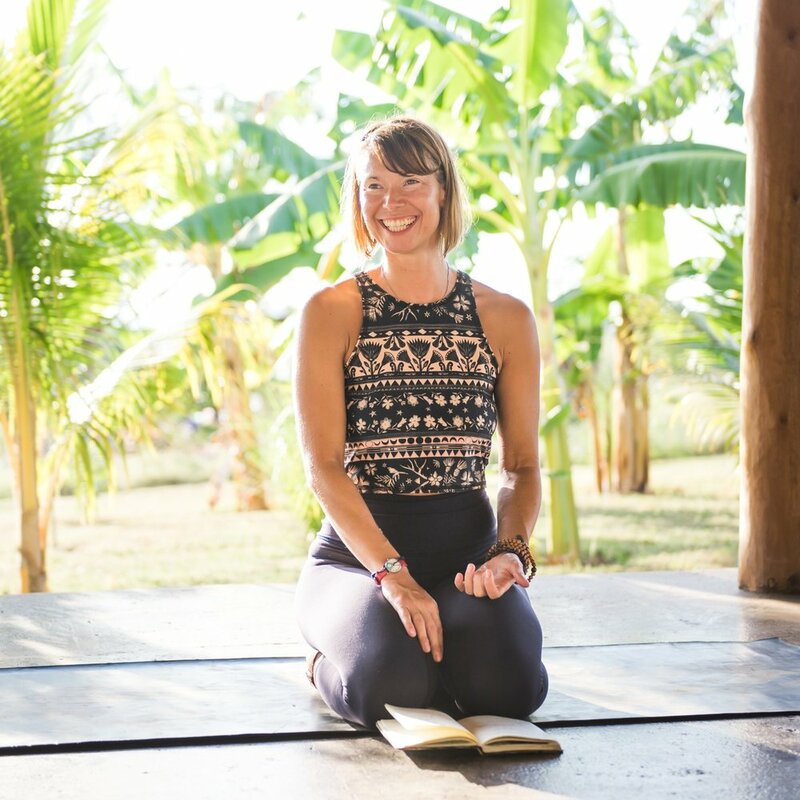 I love to add it into all my classes, but offer specialised fascia movement classes and workshops on my retreats and online training, because it is a fun and freeing way to enjoy your body.